Victor de Boer, Nana Baah Gyan, Anna Bon, Wendelien Tuyp, Chris van Aart, Hans Akkermans: A Dialogue with Linked Data: Voice-based Access to Market Data in the Sahel. In: Semantic Web – Interoperability, Usability, Applicability 2014. Download paper. Nana Baah Gyan, Victor de Boer, Anna Bon, Chris van Aart, Hans Akkermans, Stephane Boyera, Max Froumentin, Aman Grewal, Mary Allen: Voice-based Web Access in Rural Africa. In: Proc. of the WebSci’13, May 1 – May 5, 2013, Paris, France. Nominated best paper award at the ACM Web Science 2013 Conference. Anna Bon, Victor de Boer, Nana Baah Gyan, Chris van Aart, Pieter De Leenheer, Wendelien Tuyp, Stephane Boyera, Max Froumentin, Aman Grewal, Mary Allen, Amadou Tangara and Hans Akkermans: Use Case and Requirements Analysis in a Remote Rural Context in Mali. In: J. Doerr and A.L. Opdahl (Eds): REFSQ 2013, LNCS 7830, pp 331-346, 2013. Christophe Guéret, Victor de Boer and Anna Bon. Decentralised Open Data for World Citizens. PMOD Using Open Data policy modeling, citizen empowerment, data journalism. W3C. Download paper here. Bringing the Web of Data to Developing Countries – Linked Market Data in the Sahel Region. Poster by Victor de Boer, Nana Baah Gyan, Pieter de Leenheer, Anna Bon, Chris van Aart, Christophe Guéret, Wendelien Tuijp, Stephane Boyera, Mary Allen, Hans Akkermans. Presented at Extended Semantic Web Conference 2012, Heraklion, Greece. Award winning “best poster” at Extended Sematic Web Conference 2012. Victor de Boer, Nana Baah Gyan, Anna Bon, Pieter de Leenheer, Chris van Aart, Hans Akkermans “Voice-based Access to Linked Market Data in the Sahel”. Presented at the First International Workshop on DownScaling the Semantic Web, hosted by Extended Semantic Web Conference 2012. 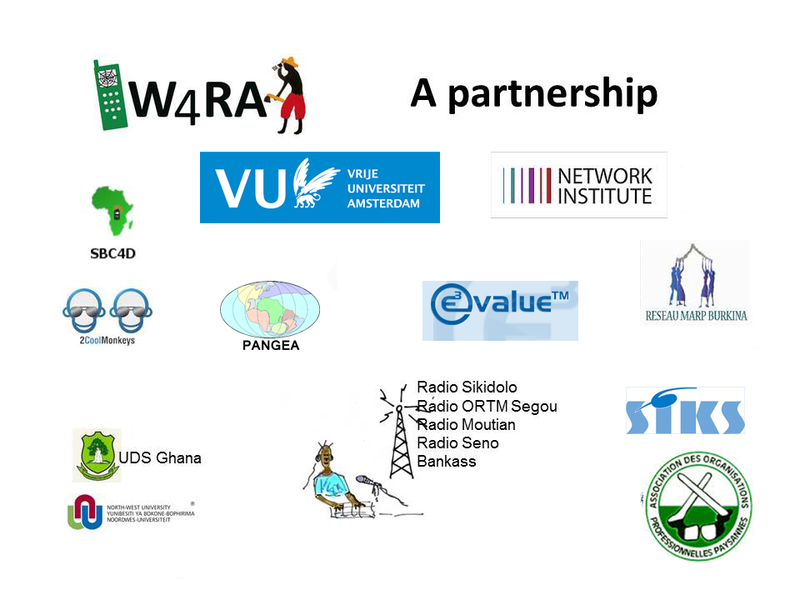 Anna Bon, Victor de Boer, Pieter De Leenheer, Chris van Aart, Nana Baah Gyan, Max Froumentin, Stephane Boyera, Mary Allen, Hans Akkermans”The Web of Radios – Introducing African Community Radio as an interface to the Web of Data”. Presented at the First International Workshop on DownScaling the Semantic Web, hosted by Extended Semantic Web Conference 2012. Poster. Victor de Boer, Pieter De Leenheer, Anna Bon, Nana Baah Gyan, Chris van Aart, Christophe Guéret, Wendelien Tuyp, Stéphane Boyera, Mary Allen, Hans Akkermans”Radio Marché: Distributed Voice- en Web Interfaced Market Information System under Rural Conditions”. Proceedings of 24th International Conference on Advanced Information Systems Engineering, CAiSE’2012, Gdansk, Poland, 25-29 June 2012.